Since 2007, Jaroslav Kulhavy has been nearly synonymous with Specialized. He won the 2011 world championships and 2012 Olympics aboard Specialized bikes, not to mention his numerous other victories. While he isn’t parting ways with Specialized in 2019, he is shifting gears to run his own team, Kulhavy Racing. Previously, he had been on the Specialized Factory Team. Specialized will continue to provide the Czech with bikes and equipment. Cyprus Sunshine Cup: Jaroslav, how was your winter and preparation for the season so far? Jaroslav Kulhavy: The winter preparation has been quite good, I began about three weeks later, but it’s okay because the World Cup starts later. CSC: You will continue to race on Specialized Bikes, but in 2019 for your own team, Kulhavy Racing. What’s the reason for creating something on your own and when did you decide this? Why did you not stay in the very successful Team Specialized Racing? JK: Yes, I will race as part of my own project for 2019. After the 2018 season, I was thinking about some changes and new motivation, so this combination is perfect, and I am really happy that I will continue together with Specialized. The news from Specialized to give technical support came quite late — of course, I spoke with others teams, but nothing interesting came at the end. My own project gives more freedom and bigger motivation. CSC: You are 34 years old; is this change also a kind of window into the future of Jaroslav Kulhavy, running your own team after your career? Like Thomas Frischknecht, Ralph Näf, Bart Brentjens, and others? JK: Yes, it can be start of the “future team,” but now I have still have many goals for this season and the Olympic season. We also need to get stable partners for 2020. CSC: For you, Cyprus and the Sunshine Cup are a kind of year-by-year entrance into the cross country season. What makes it worth it for you to repeat that every year? JK: I love Cyprus and the Sunshine Cup is perfect training before the main season. There’s also many UCI points so it’s the best option. It maybe looks like a boring program to be every year in Cyprus, but I like it — every stage is fun and nice riding. 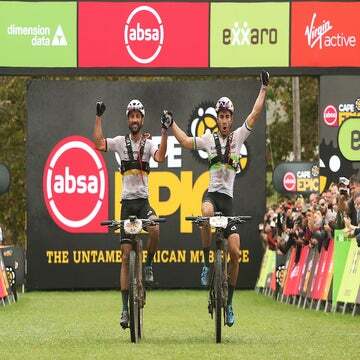 The Absa Cape Epic is always known to attract the world’s best cross-country racers, and 2019 is no different. The eight-day South African mountain bike stage race confirmed its lineup, which includes reigning champions Howard Grotts and Kulhavy, as well as Annika Langvad who will ride with a different teammate to defend her title this season. All eyes will likely be on reigning world and Olympic champion Nino Schurter, who won the Cape Epic in 2017. There are a few former world champions in the field as well: Christoph Sauser, Langvad, and Maja Włoszczowska. And of course, don’t forget that Langvad will team up with the reigning world road champion Anna van der Breggen as she vies for her fifth Cape Epic title. The 2019 Cape Epic will be held March 17-24. Part of the five-race Eastern Canada Gravel Cup, Wheelers Lanark-Liège will be the “unofficial” Canadian gravel championships, June 1. The hilly, 80-kilometer race will be held Southwest of Ottawa, near Perth, Ontario. The overall Eastern Canada Gravel Cup champion will be awarded after the final series of the event, Wheelers Lanark-Lombardy, on September 7.